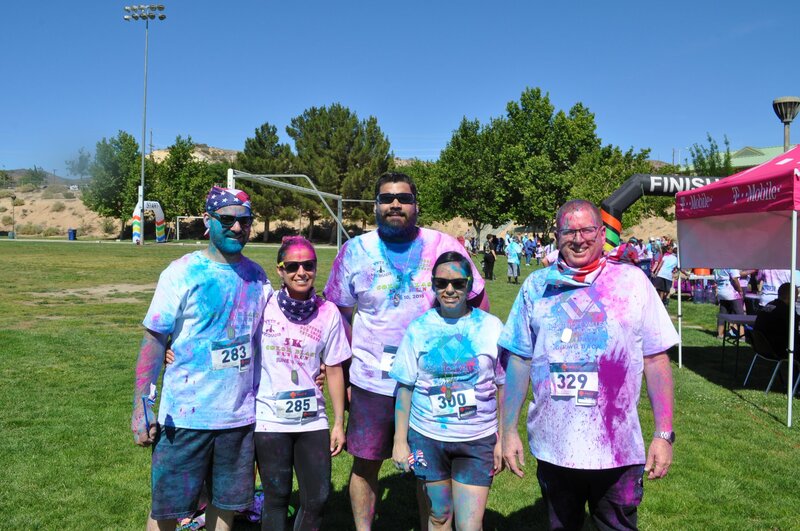 5K Color Blast Fun Run! - SUPER Patriots! 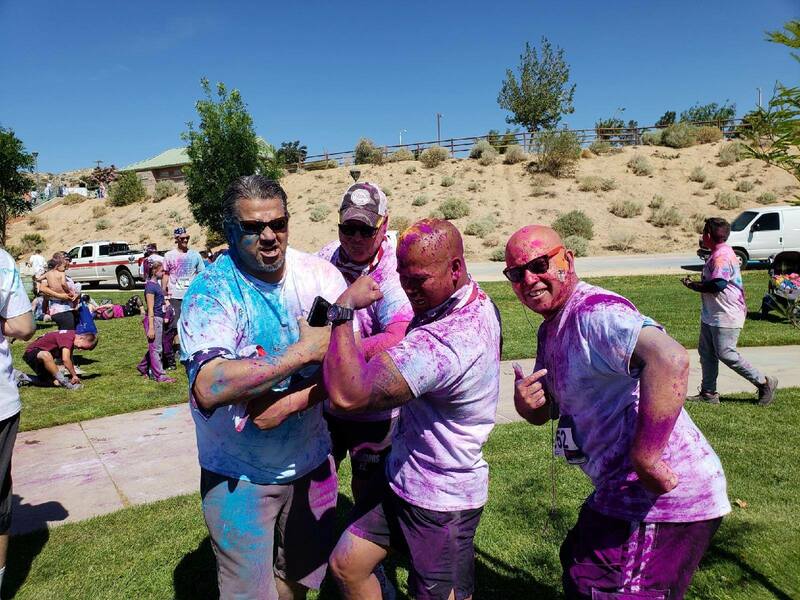 A Color Blast Fun Run Supporting Veterans!! 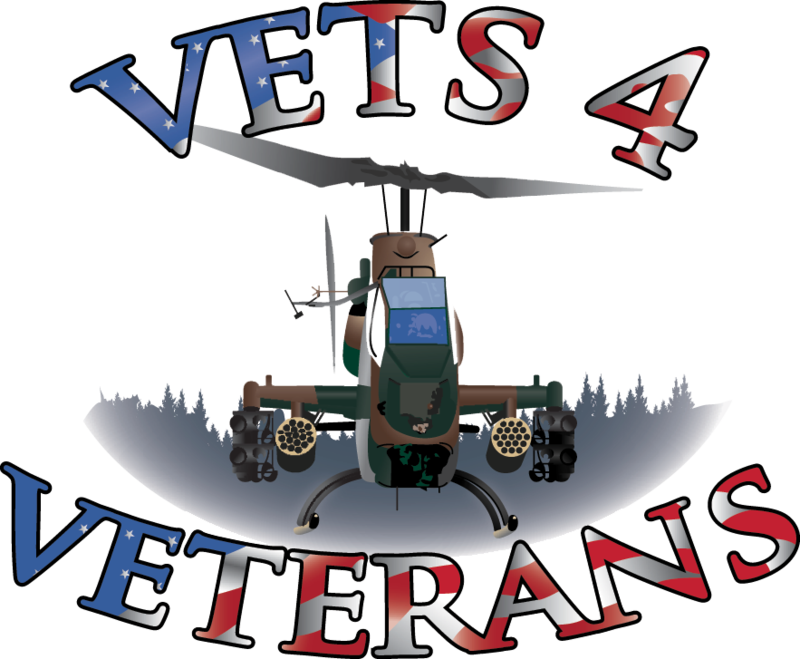 Come out to support the Veterans of the Antelope Valley. Bring your family, the kids, friends, the stroller and GET YOUR COLOR ON! It's a 5k through Pelona Vista Park that's a little on-road and a little off-road... nothing you can't handle. Plenty of color stations at every kilometer focusing on the colors of AMERICA, her good 'ol RED, WHITE and BLUE. The starting line has great music to get you motivated for your WARM-UP and plenty more jams to motivate through your day. Waves start at 0800 and go every few minutes until everyone has a comfortable start and no-one has their style cramped. 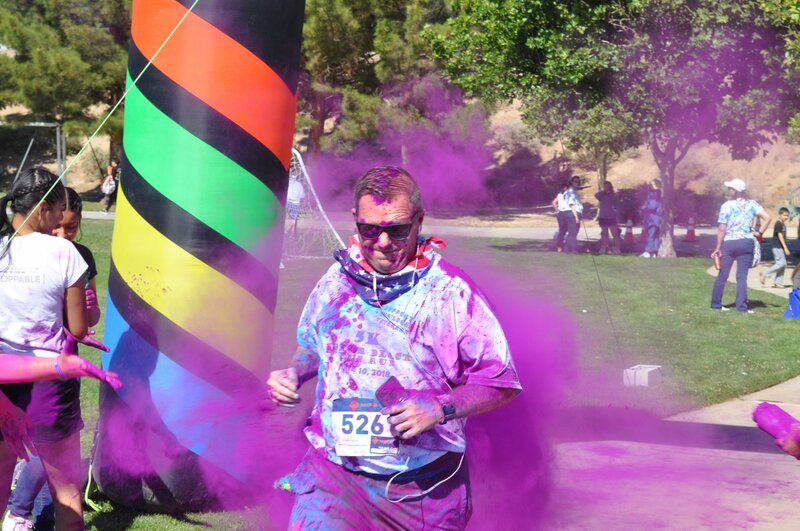 What: 5K Color Blast Fun Run suitable for all levels of walkers, runners and those in between of all ages. This is an un-timed event. 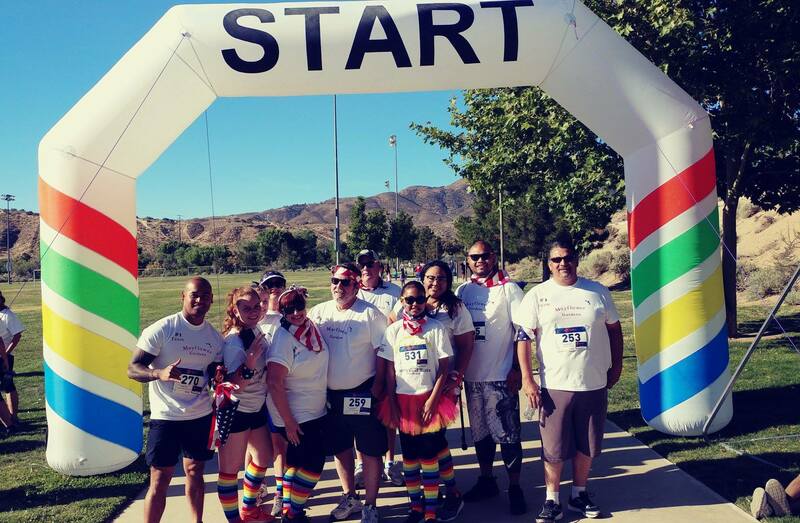 Why: We're supporting the Veterans of the Antelope Valley! Weather in the desert can be very unpredictable, except for the wind; you can pretty much guarantee it will be windy. Please dress in layers -- expect a cool morning with rapidly rising temperatures to a very warm/hot afternoon. The Color Burst powder is a safe food-grade corn starch that uses food-grade FDA approved food coloring to get the bright colors that you see. 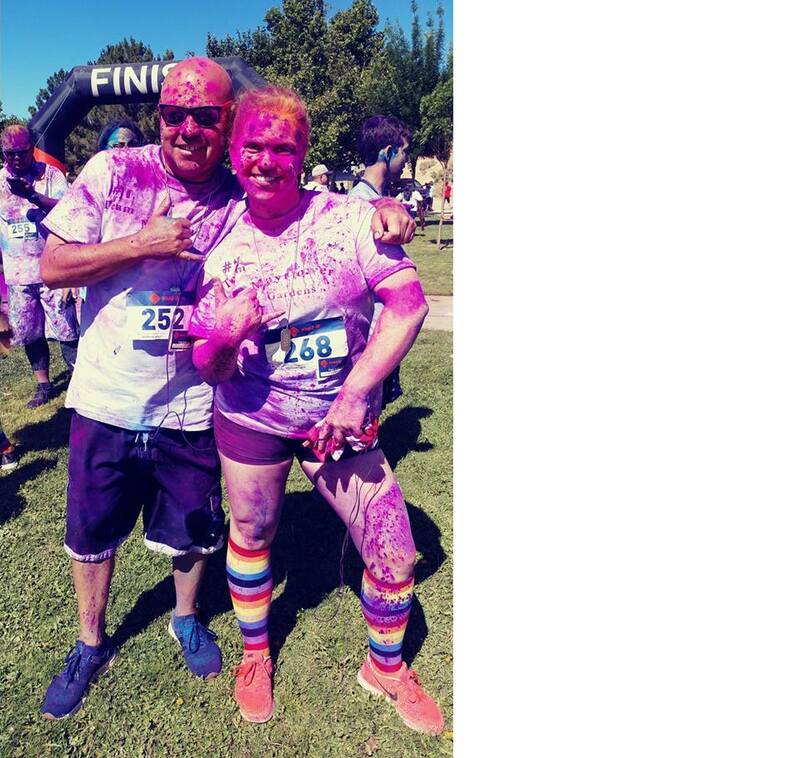 Even though the powder is completely safe, some participants may be sensitive which is why we've provided the Bandannas and Sunglasses to all participants. The Color Burst powder is a corn starch base and is non-flammable. However, as with ANY fine particulates, DO NOT expose the powder to any direct flames. If you find yourself in any distress during the event, notify a friend, or a person with a colored vest and immediately seek medical attention. First Aid is available on site and we will ensure you immediately receive appropriate medical care.